Pipe bursts and roof leaks can be dramatic, but some of the most serious moisture problems develop out of sight. Moisture can accumulate behind walls or underneath building materials, leading to hidden mold and moisture problems that gnaw away at your building and leave occupants feeling sick. All the while, you’re completely unaware of the damage being done. Where do hidden mold and moisture problems develop? Hidden mold oftentimes grows behind building materials. 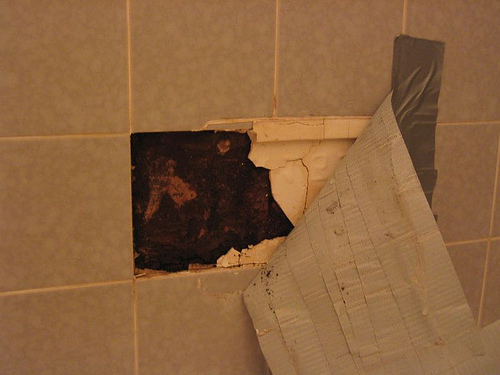 In this case, excess moisture around tile adhesives caused extreme hidden mold growth. Why are these hidden mold and moisture problems dangerous? Even extensive hidden mold behind walls is nearly impossible to detect. Mold remediation and repair work can be costly if hidden moisture problems are not caught early. Because hidden mold and moisture problems are so hard to find, occupants can experience health symptom for months without knowing their health is at risk. This puts building occupants at risks for long-term exposure to mold and microbials that can cause serious discomfort, including allergy and asthma complications. Seemingly simple moisture problems can do major damage to building materials, especially when left to do their work over extended periods of time. For example, if humidity issues are not recognized and resolved, condensation on the backside of vinyl wallpaper can break down adhesives and lead to harmful mold growth. Long-term exposure can also corrode, rot or degrade building materials, resulting in cost repairs once the damage is finally discovered. 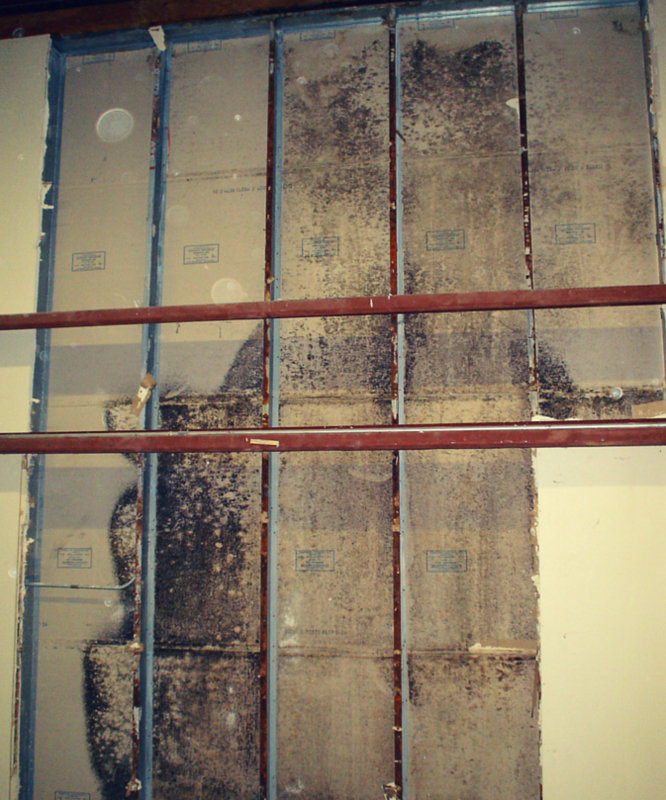 How to can you identify hidden mold and moisture problems in your building? To identify a hidden mold or moisture problem, you’ll have to look for non-visible clues of moisture damage and mold growth. First, trust your nose. Many common strains of mold emit microbial VOCs (Volatile Organic Compounds) that have a uniquely musty smell. So if you smell any moldy or musty smells, it’s usually a pretty sure sign of hidden mold growth. Second, listen to building occupants. If there is an increase in complaints about health symptoms, a hidden mold or moisture problem could be the reason. Pay special attention to reports of coughing, wheezing, upper respiratory symptoms and increased asthma and allergy symptoms. People sensitive to mold can also experience headaches, eye irritation, nasal stuffiness, and other flu-like symptoms. What should you do if you think there’s hidden mold in your home or facility? 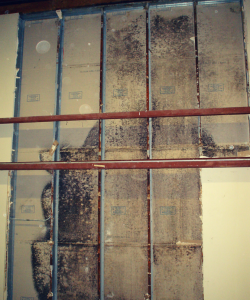 If you think you there might be a hidden mold or moisture problem in your building, be sure to call in a professional. Identifying the issue will require removal of some building materials, which can disturb mold growth and release countless mold spores into the air. Professionals will put containment measures in place to prevent further mold growth and protect occupants from mold exposure.